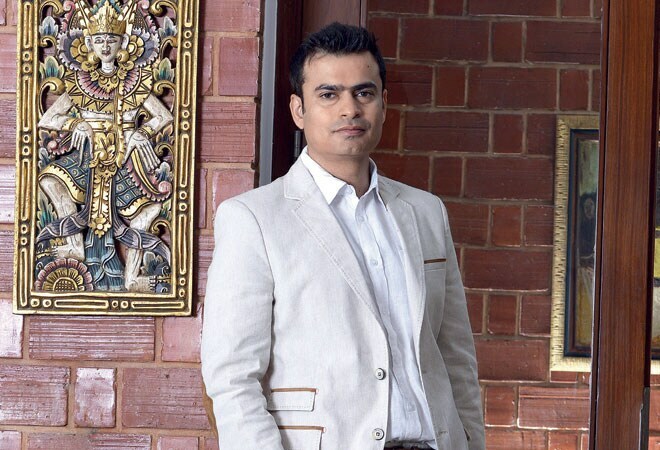 Ibibo founder and CEO Ashish Kashyap shares tips on how to plan the best vacations. Ashish Kashyap, CEO of Ibibo Group, is a natural in the intricate circles of e-commerce. When he's not busy envisioning new digital assets, he's working out ways to enhance the userfriendly quotient of the brand's online portals, RedBus and GoIbibo. But being a workaholic also has its perks. Kashyap's business acumen has helped him through an entrepreneurial journey that specialises in travel services. Many successful deals later, the empire has become the leading brand in B2B transactions. An avid traveller, the sultan of online travel portals shares insights and tips that will help you plan and travel smart. Cape Town has a heady charm that I find myself drawn to. From exceptional wine to "residential" vineyards, this South African city can be mesmerising at any time of the year. Rome has spectacular food. I am not very keen on its heritage angle, but I love its vibrant food and music culture. Tokyo has a geeky, swanky vibe that manifests itself in a unique technology-driven culture. There I visited a pub called Robot Bar. It's a bar where robots double as servers and dancers. It's eclectic, quite unlike the sort of entertainment you're used to in Asian cities. In India, my go-to vacation destination is Goa. I don't think anything beats the unique beach experience of this place though I have heard Australia is very good too. We also have a place in Mashobra that I visit every six months to unwind. Quite ironically, I never book through platforms like ours when planning a vacation. On a recent trip to Europe, I drove from Germany to Poland. I prefer travelling on an impulse, without a fixed itinerary, and this helps me keep away from guided tours. I depend on user reviews to zero in on eateries and recreational hangouts because I find them more insightful than standard options. I usually book an AirBNB accommodation; stay-in resorts just don't allow you to soak up the local flavour. I don't much care for the typical tourist-y activities either, because it gets boring after a while. We were bowled over by the quaintness of Kanazawa in Japan. It's the sort of place I would never get to experience as part of a guided tour. The one ritual I religiously indulge in is white water rafting. For us, it's an annual pilgrimage of sorts. We usually head to the higher reaches of Rishikesh, because the experience there is more exhilarating. I also enjoy cycling and indulge in hiking occasionally. I don't much care for bungee jumping or paragliding. For me, every vacation needs to have an action related element to it. Even at the beach, I cannot imagine myself lying on a hammock with a book; I would rather surf or play beach volleyball. I am particular about the service at the hotel I stay in, probably even more than the room itself. When a property functions seamlessly, it demonstrates a high degree of efficiency. I'm not fussy as long as the room is comfortable, clean and stocked with basic amenities. In terms of accommodation, I find it useful to consult the local residents. But, being in the service industry, I can understand it if a particular service is not up to the mark. I make sure I disconnect from my office routinewhen I am on a personal vacation, but at the same time, I covertly keep an eye on my mail to ensure I am available if there is a work emergency. It is ok to disconnect but not switch off.